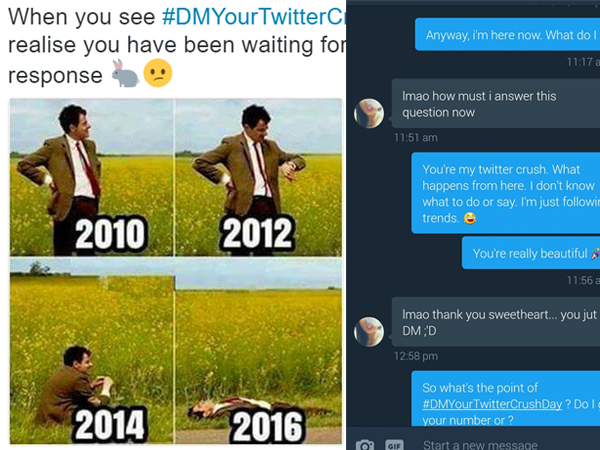 For some Twitter users, yesterday's #DMYourTwitterCrushDay presented the perfect opportunity to make a move on their crush. All you had to do was to "slide" in the DMs of your crush, or in layman's terms, send the person you like a Direct Message on the social network. Naturally, hilarity ensued. We've selected some of the funniest reactions to the hashtag.